It was third time lucky for the running of the 2017 Rallye des Femmes, after the event was twice postponed. 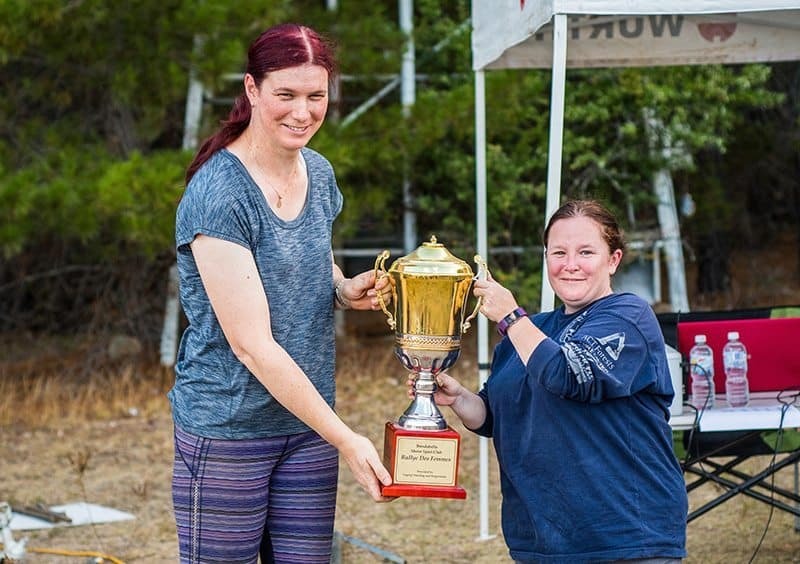 This time it was held in hot and dusty conditions on Saturday, February 24 in the forests near Canberra. The event is an Introductory Special Stage rally and is the only rally in Australia organised specifically for female drivers. The rally was first held in 1977 and has been held most years since. As an Introductory Rally, the event is timed to the whole minute – which resulted in multiple winners in 2007 and 2016. A small, enthusiastic field tackled the six stages. Competitors came from as far as Cessnock and Sydney to compete. 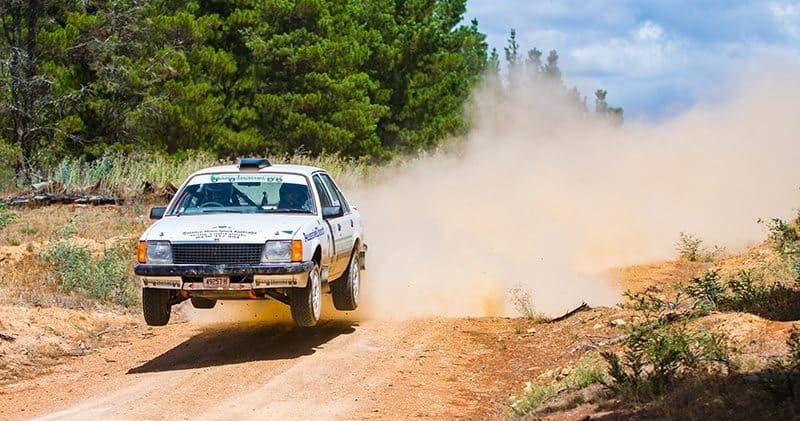 The field was headed by NSW rally regulars Bethany Cullen and Mel McMinn. Two first time drivers also joined the line-up. The smiles on their faces grew as the day went on. An event for male drivers – the Kowen Classic – was held in conjunction with the Rallye des Femmes. The event brought the former ACT Rally Champion pairing of Nick Belfield and Mike Taylor out of retirement. 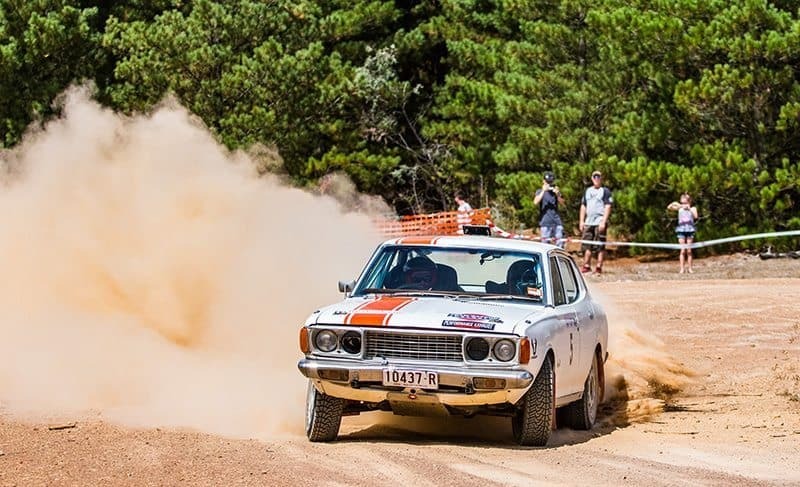 The pair set some respectable stage times and won the Kowen Classic from 2014 NSW Rally Champion, Meng Chung and Nick Vardos. The father and son team of Phil and Kagan Skipper finished in third place. The 2018 Rallye des Femmes is scheduled to be held on Saturday December 1.